Here is another one of my bottle decor and upcycling projects. I have gotten a roll of natural linen yarn. I also picked a nice bottle for upcycling. This bottle decoration project is very easy, unlike the decoupage one. You simply roll the year around the bottle. 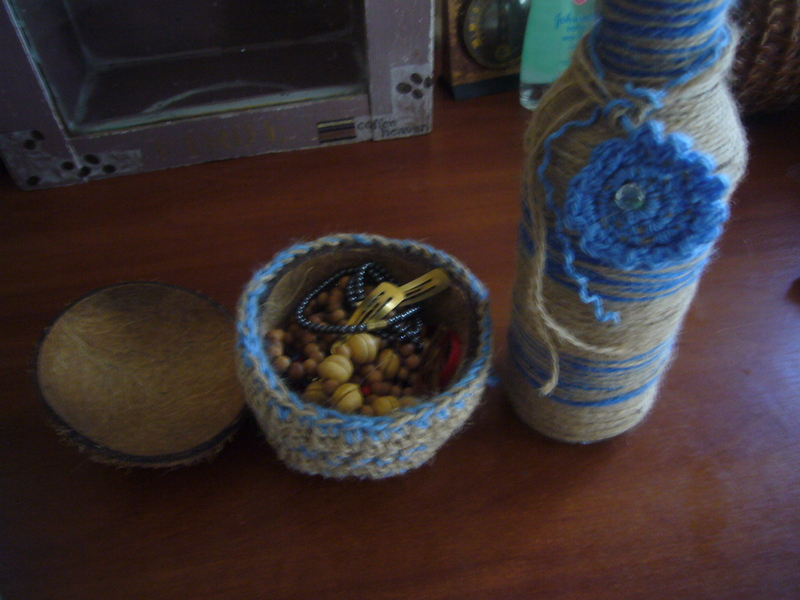 I used yarn of two colors and have crocheted a small pendant to decorate the bottle. The only difficulty was to wrap the yarn around the part of the bottle between the think and thin. I had to use a bit of glue to make the yarn stay there and not slip in loops. I also had an empty coconut I was sorry to throw away. So, I used the same yarn to crochet a cover for it and now my daughter is using it as a box to store her hair pins in. 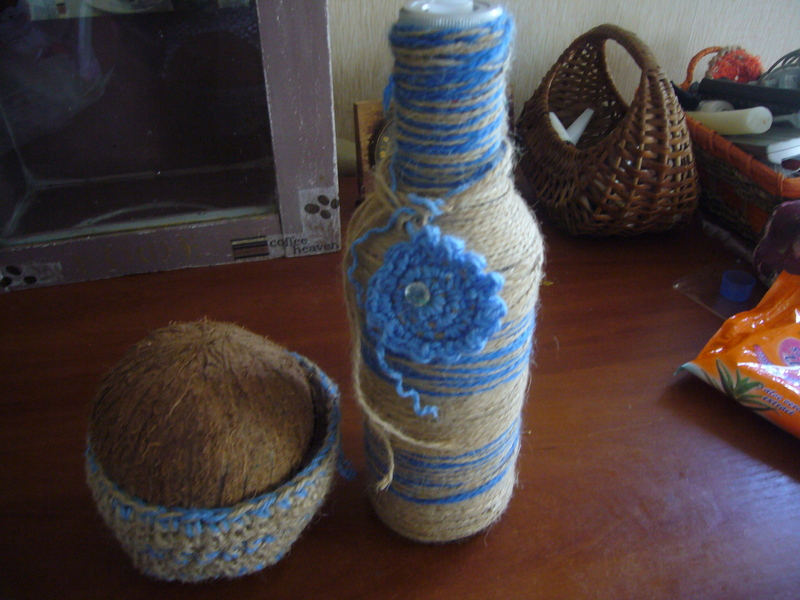 So, it’s a simple, but very useful coconut box and yarn bottle decor and upcycling project. This entry was posted in Uncategorized and tagged bottle decor, bottle upcycling, coconut box, crafts, creative, crocheting, DIY, glass bottle upcycling and decor, home decor, repurpose, upcycling, yarn. Bookmark the permalink.